Posted on August 19, 2018 at 8:01 pm. 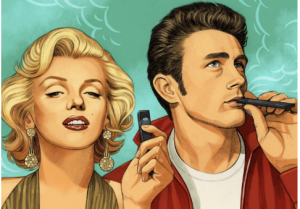 To Allan M. Brandt, a historian and author of “The Cigarette Century,” Juul is anything but new and different. “It represents the cultural norms and notions of the cigarette, which was very much youth-oriented,” he said. “It was kind of forbidden; it was extremely cool.” . . .
Posted on August 19, 2018 at 3:38 pm. I’m looking forward to my last year of high school, but there’s something going on under the radar that our community needs to realize, and that’s the rising number of my classmates using tobacco products like e-cigarettes. Many of my peers don’t even know they are inhaling nicotine when they vape – and it’s so easy to become addicted. 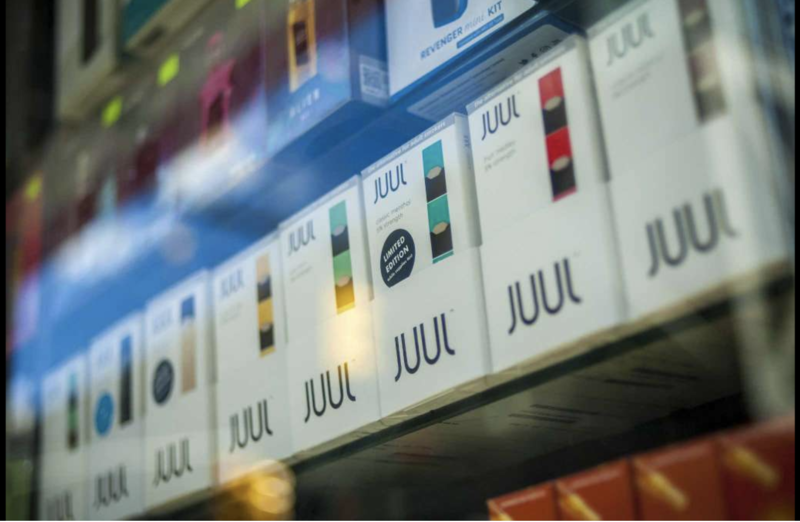 E-cigarettes like JUUL are marketed to us constantly on social media, and tobacco companies target my age group with fun flavors and coupons to make their products cheaper. As a result, 1 in 5 Minnesota high school students uses e-cigarettes according to the latest Minnesota youth tobacco survey. This month, the FDA starts requiring labels on e-cigarettes warning they contain nicotine and that nicotine is addictive. I hope these labels will make my peers think twice before using e-cigarettes and other tobacco products. 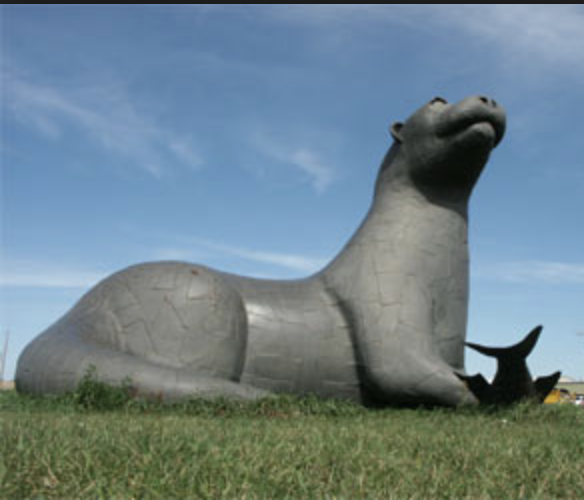 But there is much more we can do in Otter Tail County to stop young people from ever trying tobacco. 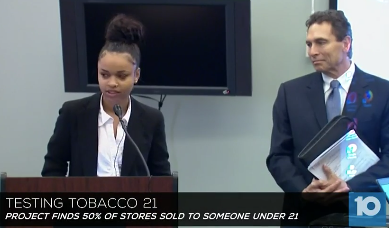 One thing we can do is raise the tobacco sale age to 21. Right now, Otter Tail County is considering approving this policy. Tobacco 21 would be a big breakthrough because it would help widen the gap between people who can legally buy tobacco and younger students. Right now, it’s pretty easy for kids who are under 18 to get tobacco products from older friends, so Tobacco 21 would help limit this social access and stop the start of tobacco use. I hope Otter Tail County commissioners will act for young people like me and support Tobacco 21. Healthier young people would mean a healthier future for all of us. Posted on July 19, 2018 at 4:56 pm. Matthew L. Myers, President, Campaign for Tobacco-Free Kids, issued a press release thanking Rep. Paul McMurtry and Sen. Jason Lewis for their leadership in sponsoring legislation that prohibits the sale of tobacco products to anyone under 21 and includes other important public health protections. 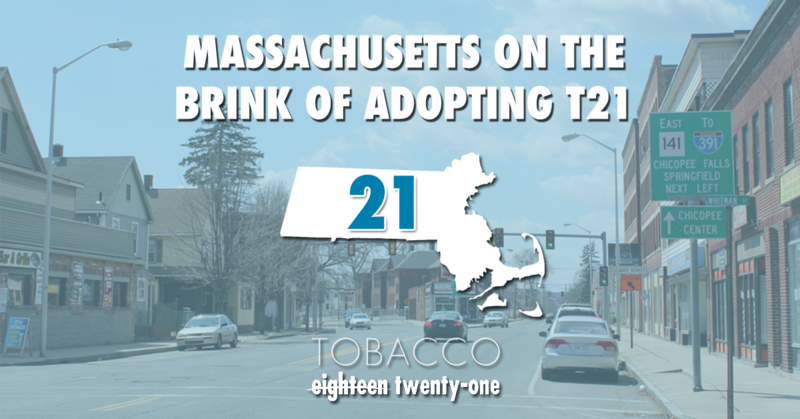 With final passage by the Legislature today, Massachusetts is poised to become the sixth state to prohibit the sale of tobacco products to anyone under 21. This legislation will prevent young people in Massachusetts from starting to use tobacco, save lives and help make the next generation tobacco-free.